So I posted this on facebook yesterday and nobody else seemed to think it was funny, so now I will try my blog (I had just gotten bad news so maybe I was searching for a laugh. More to come on that later). This was at our local library and I found it amazing. Are there really so many teens jaded and ‘down on love’? Clearly there are. When I was a teen I had no confidence of finding true love (or even being liked a boy- it still kind of boggles my mind that anyone would go all ga-ga for me). My main problem was not getting asked to school dances (there were only a few a year and so they were big deals.) Most of the time I would just ask someone and have a good time. Even if I felt sad about not getting asked I’d hardly call that ‘hating cupid’ or being ‘down with love’. These are problems that I see for 20’s not teens, but clearly I am wrong, and I find that amazing. I don’t know if I would want my teenager to find true love. Are they really at an age where they are ready for it? Sometimes but boy can it cause a lot of problems too. I wouldn’t want my kid to be ‘down with love’ or ‘up with love’. I’d want them to just focus on their education and enjoying that time of life. 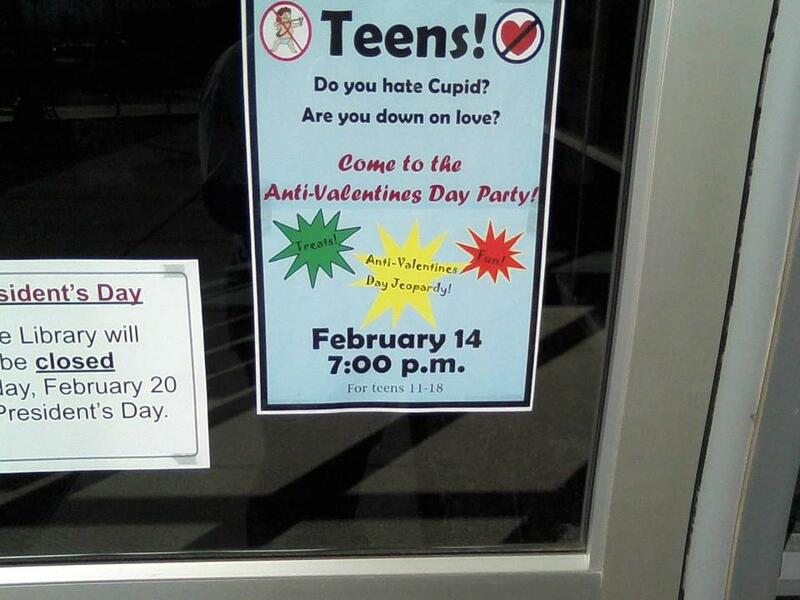 Teens out there- there is plenty of time to be sad about romance. Save it for later and enjoy your life!